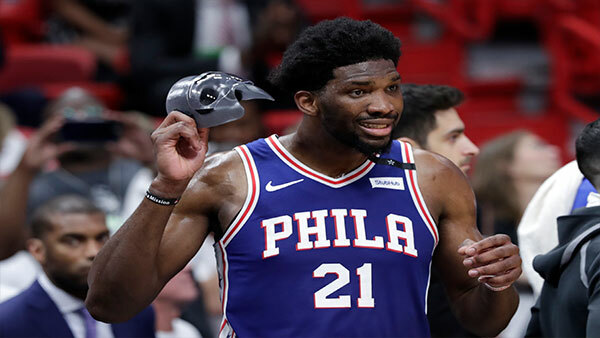 MIAMI (WPVI) -- Joel Embiid had trouble with his new mask. The 76ers outscored the Heat 32-14 in the fourth quarter and took a 2-1 lead in the series. Rightly so, too. Embiid started the day doubtfully, ended it dominant, and had plenty of help as well. Marco Belinelli and Dario Saric each scored 21 for Philadelphia, and Ben Simmons finished with 19 points, 12 rebounds and seven assists.